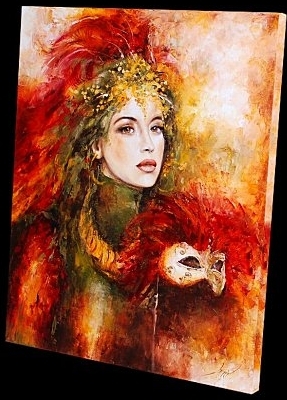 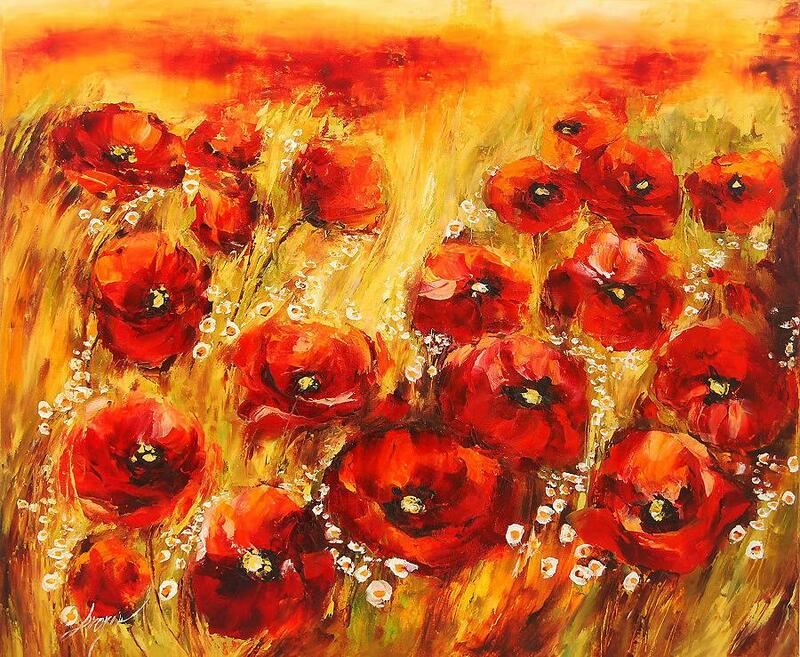 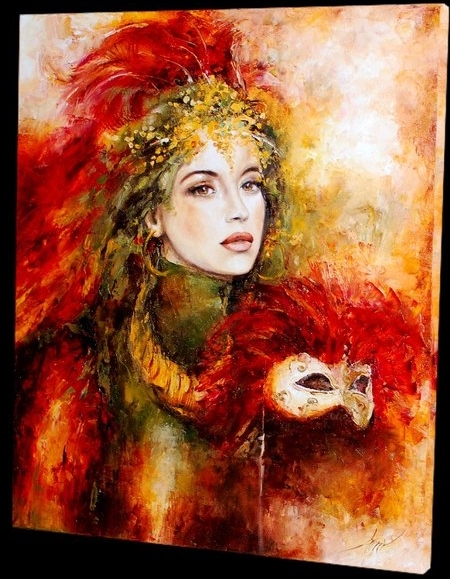 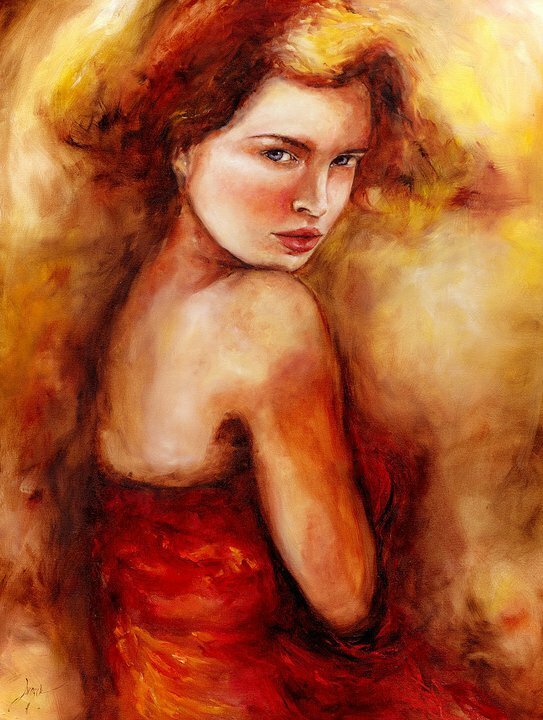 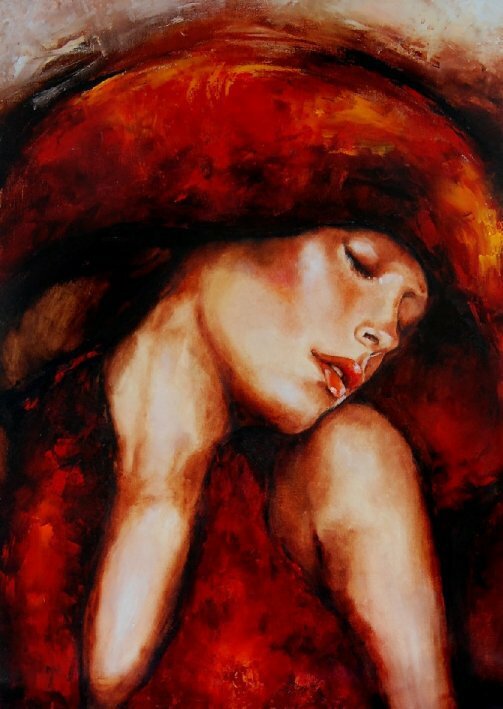 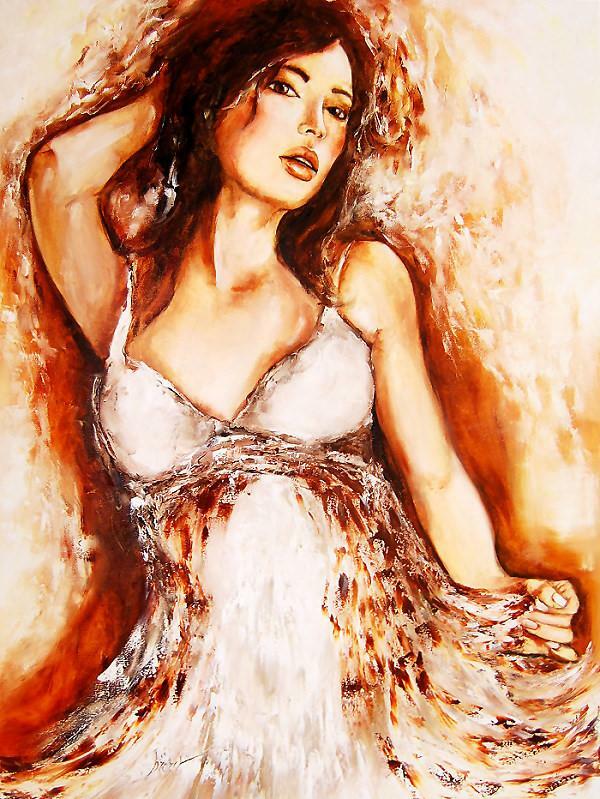 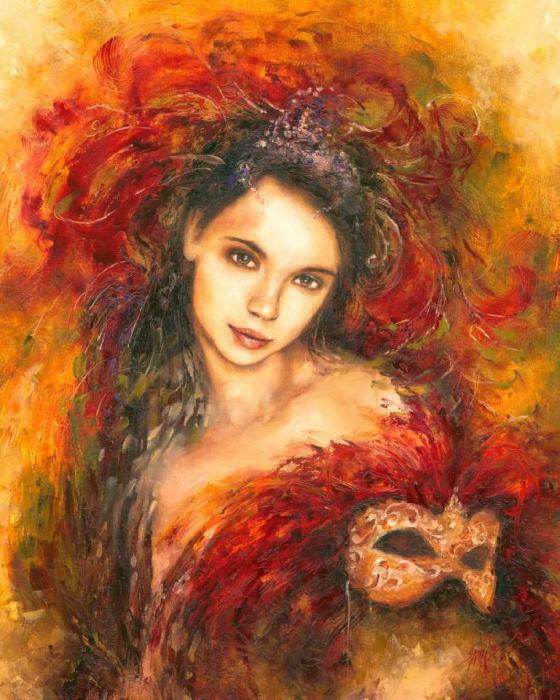 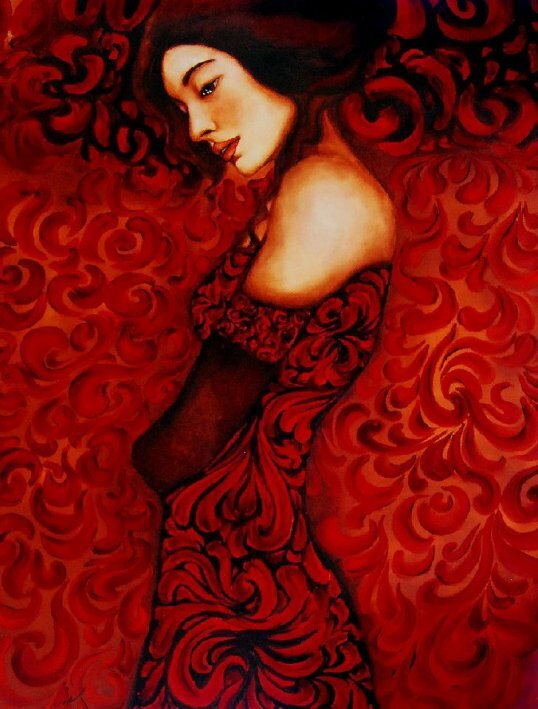 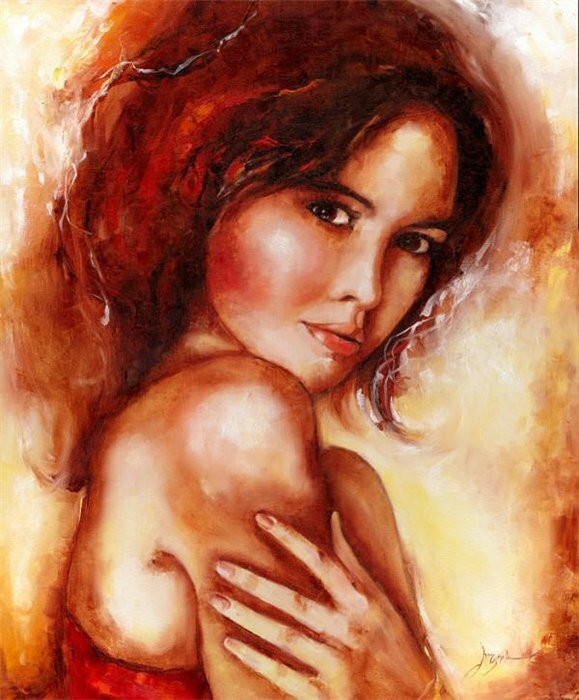 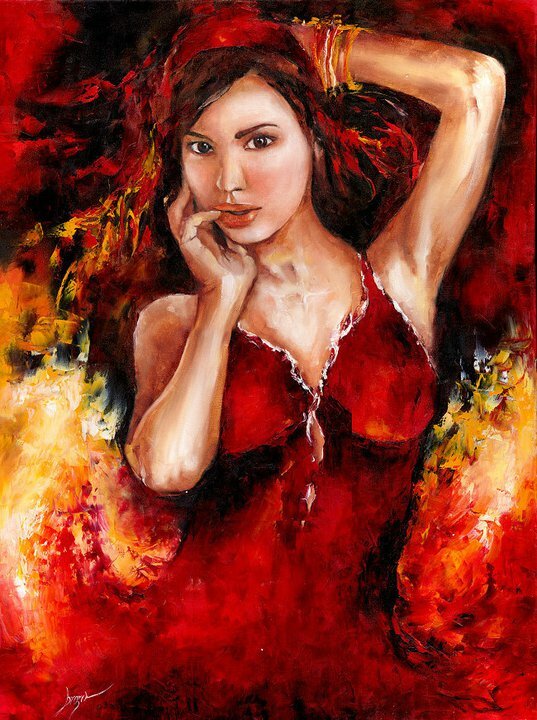 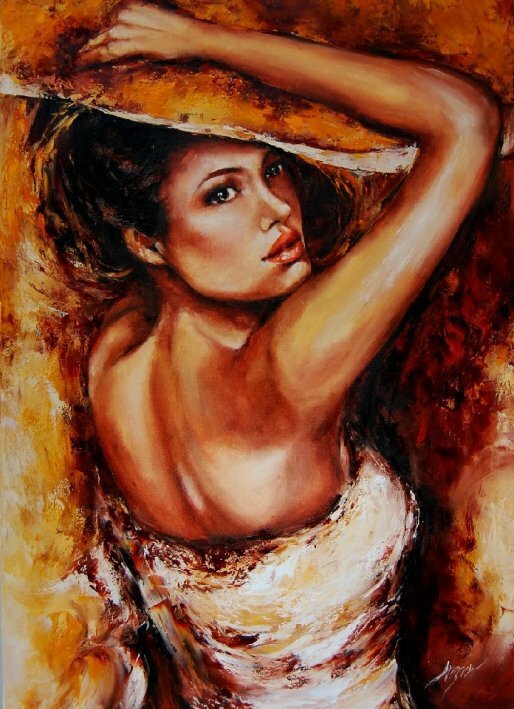 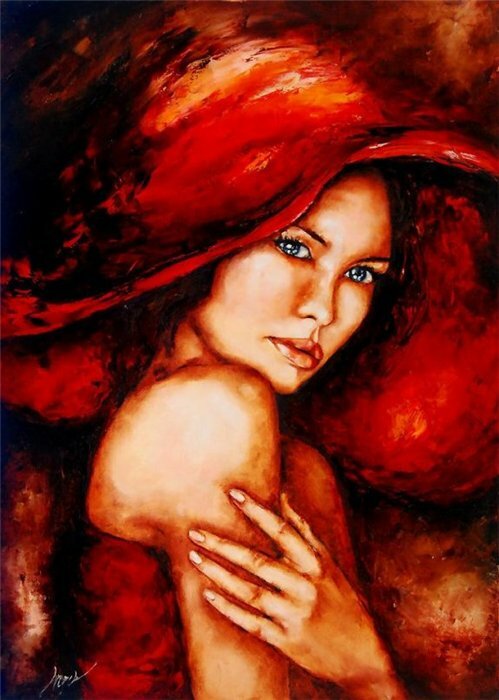 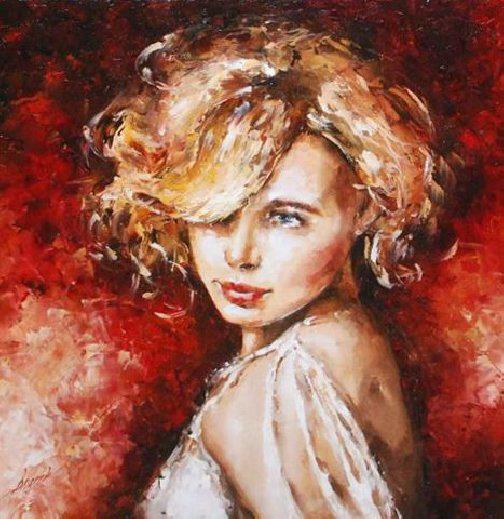 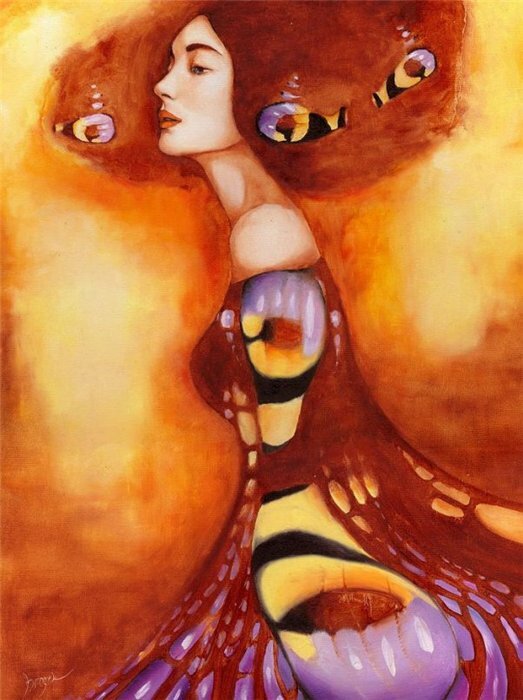 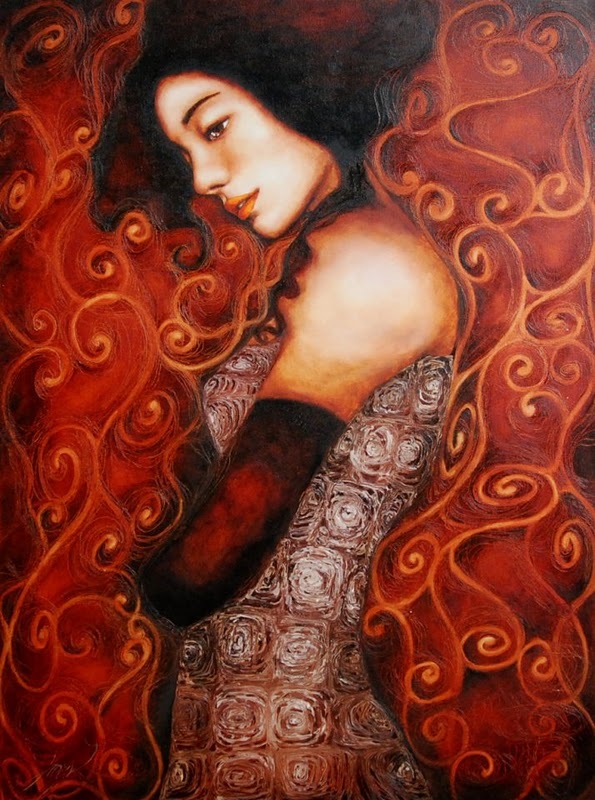 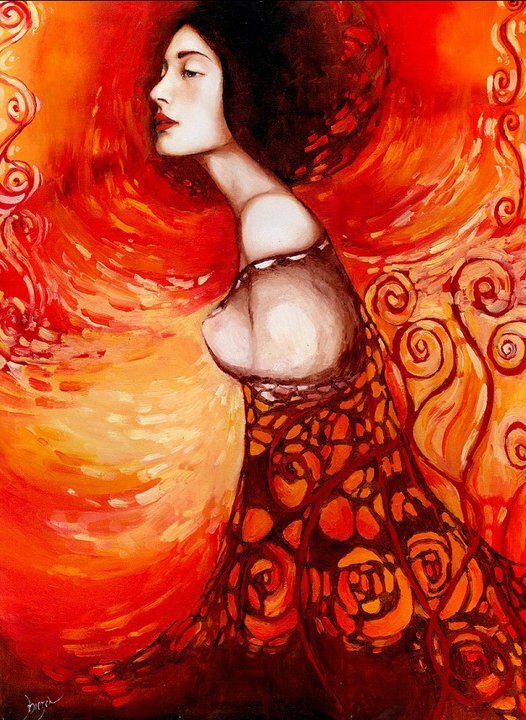 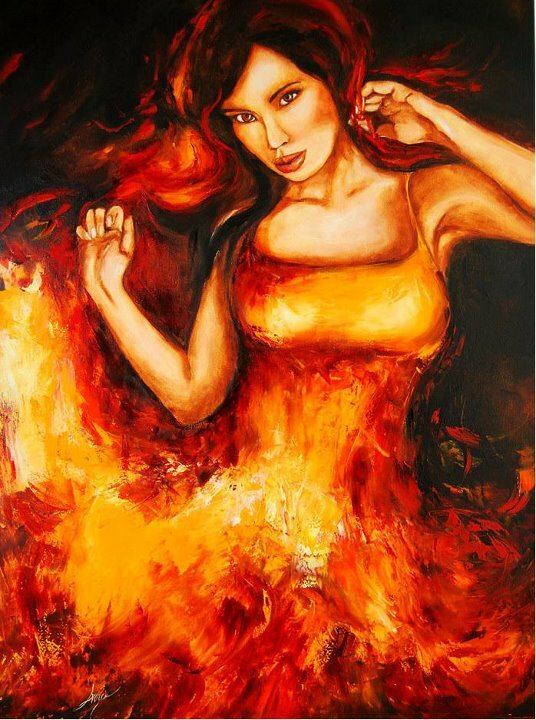 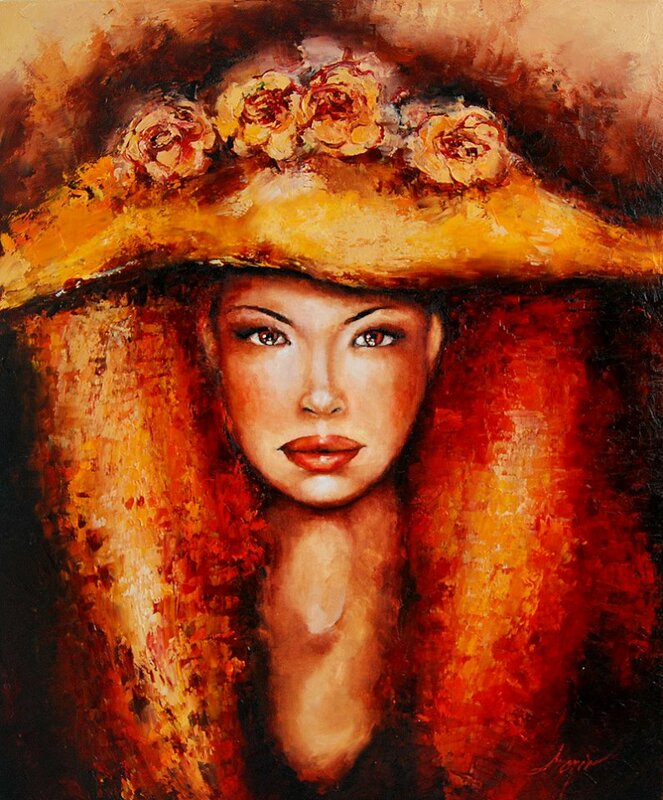 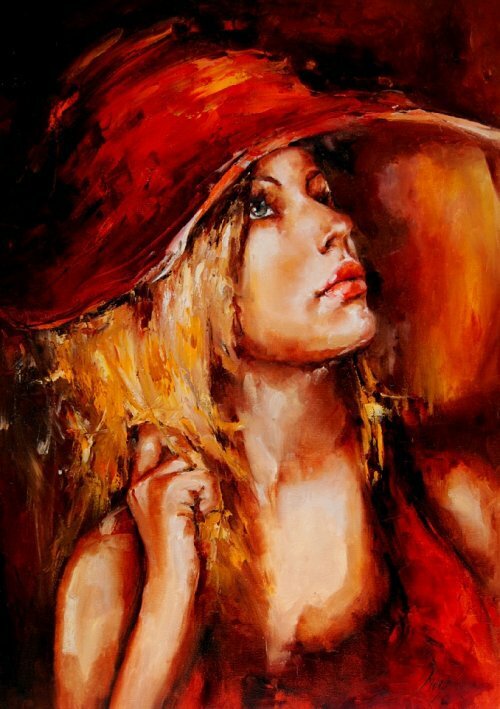 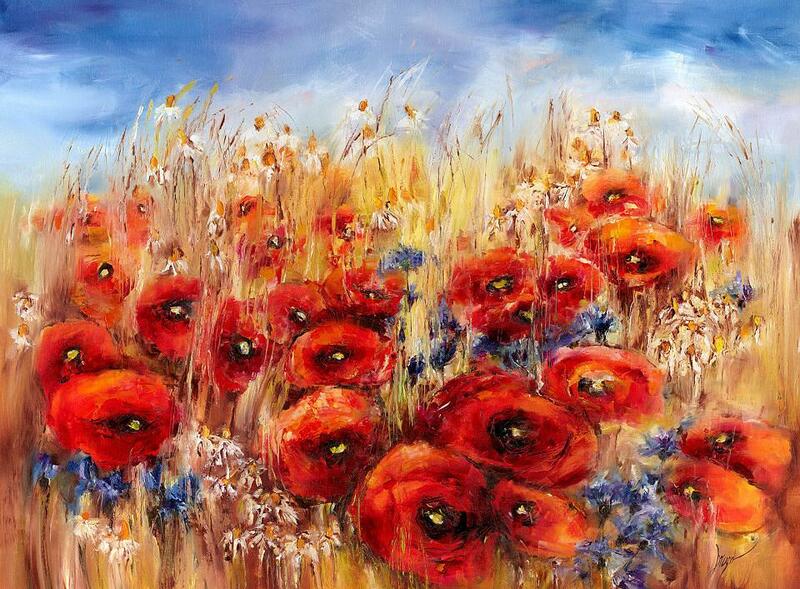 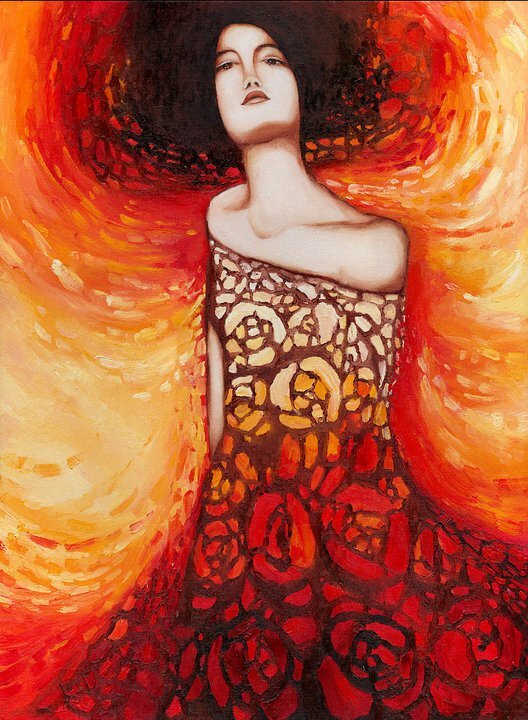 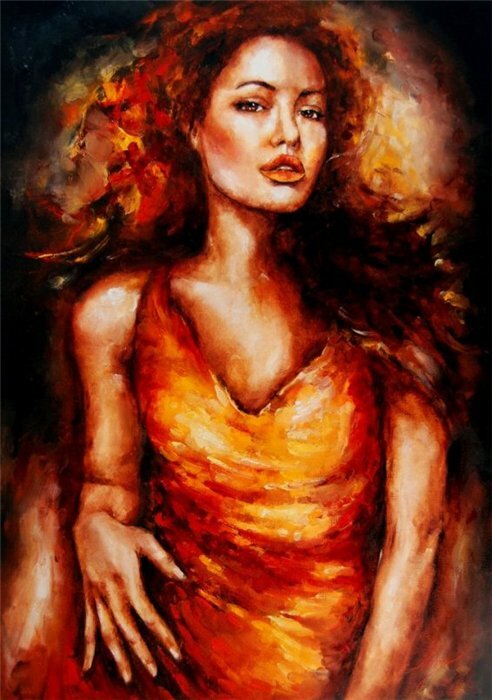 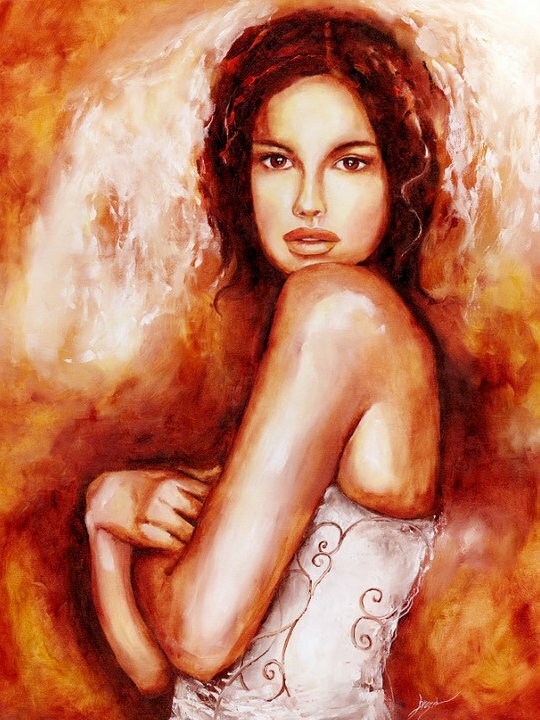 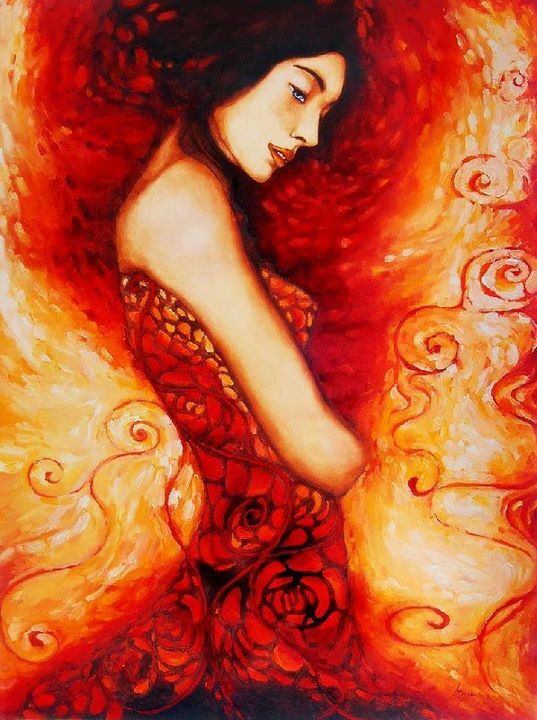 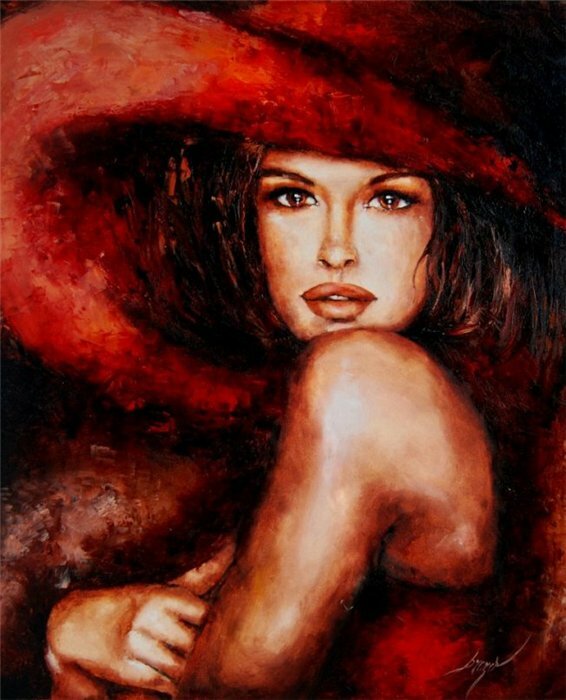 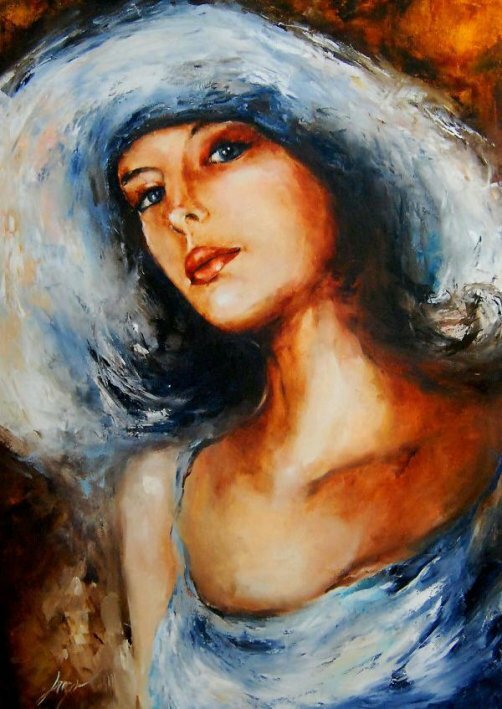 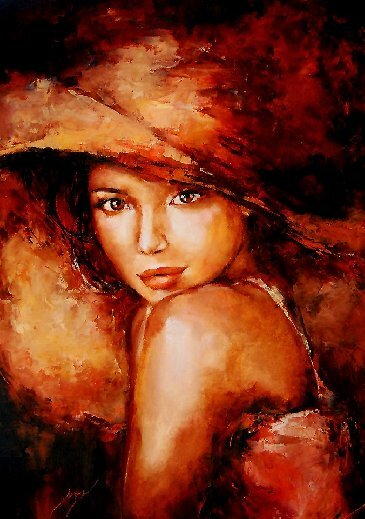 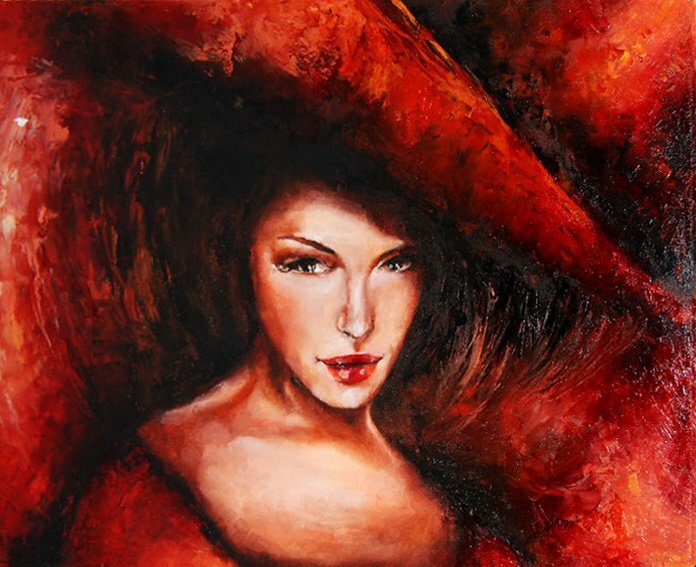 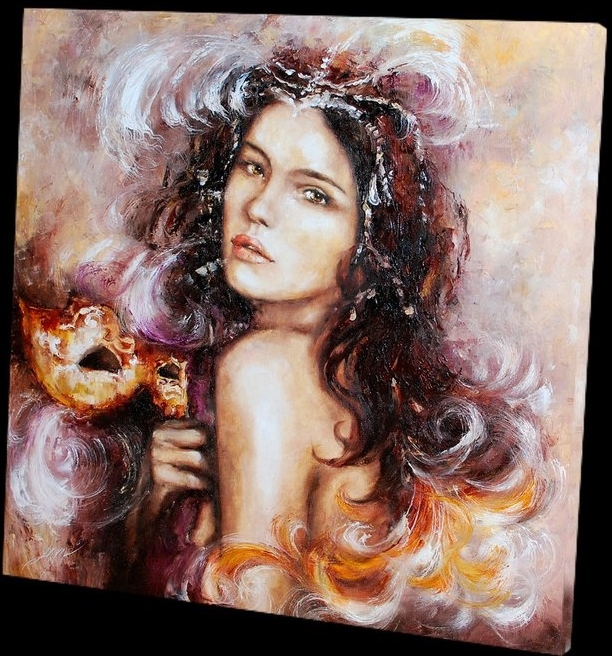 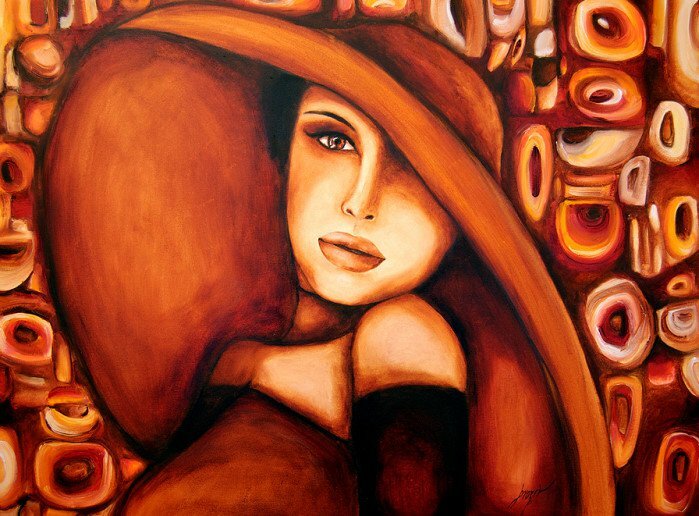 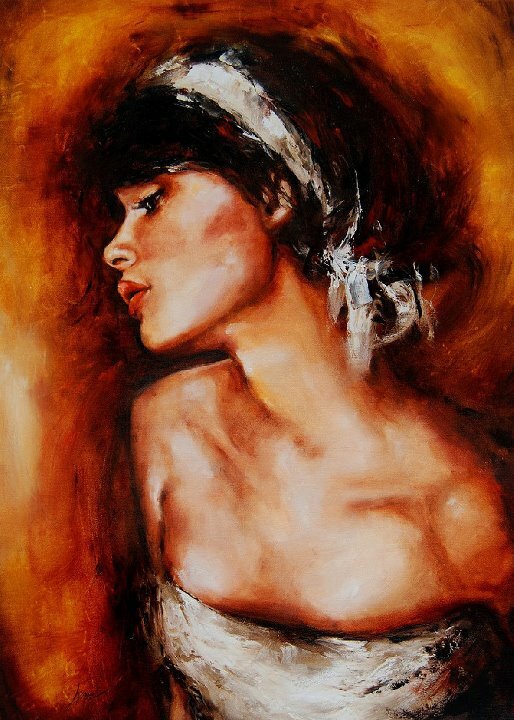 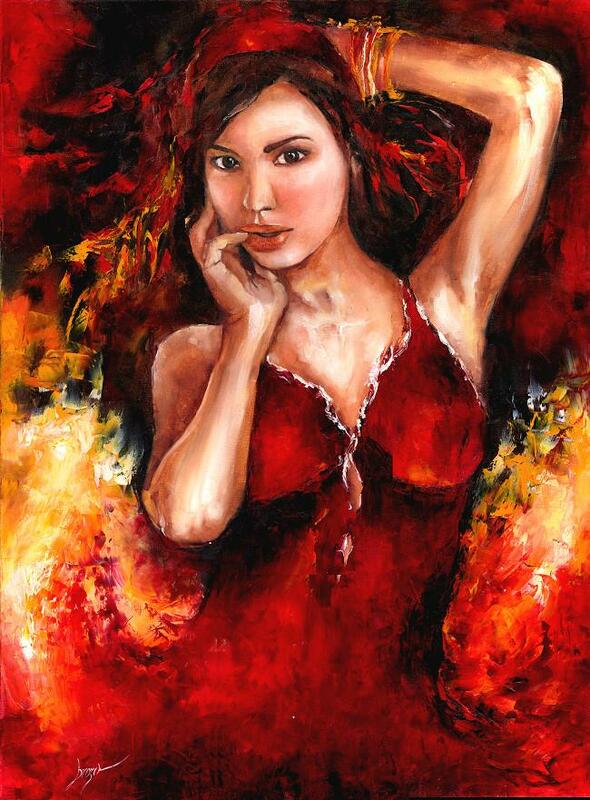 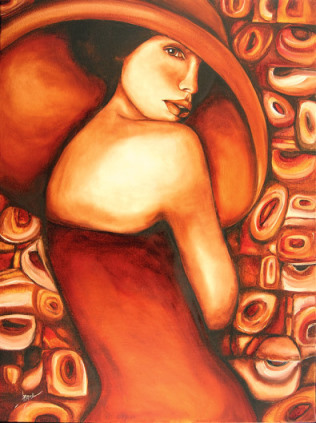 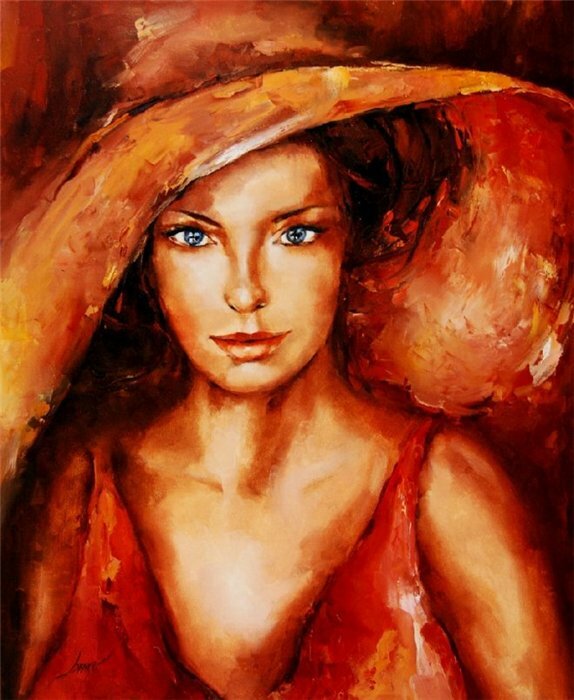 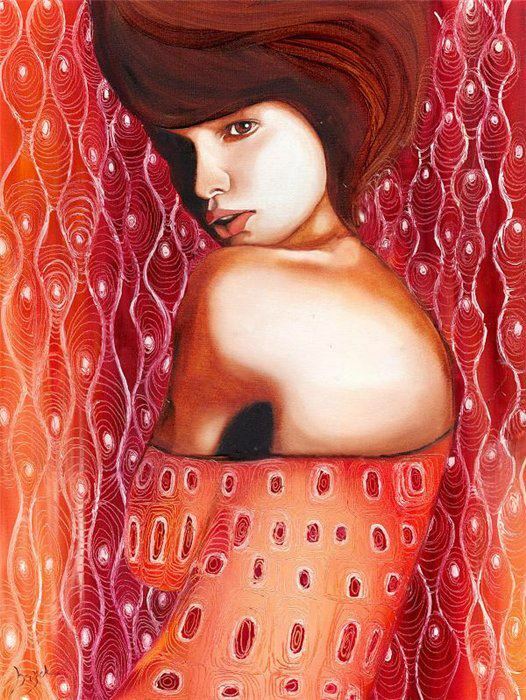 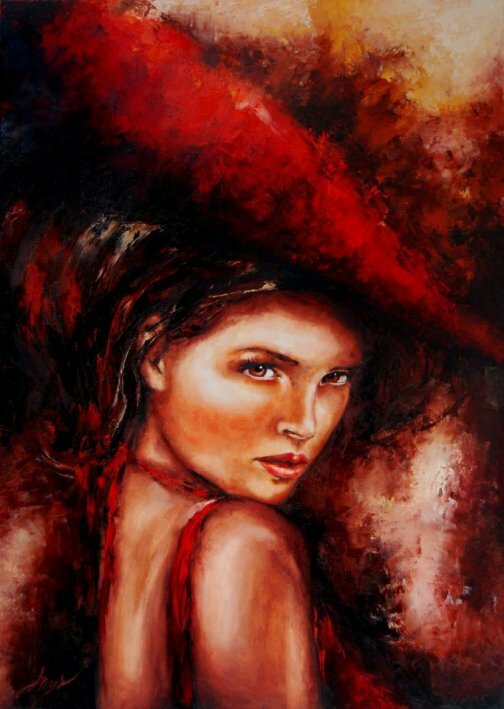 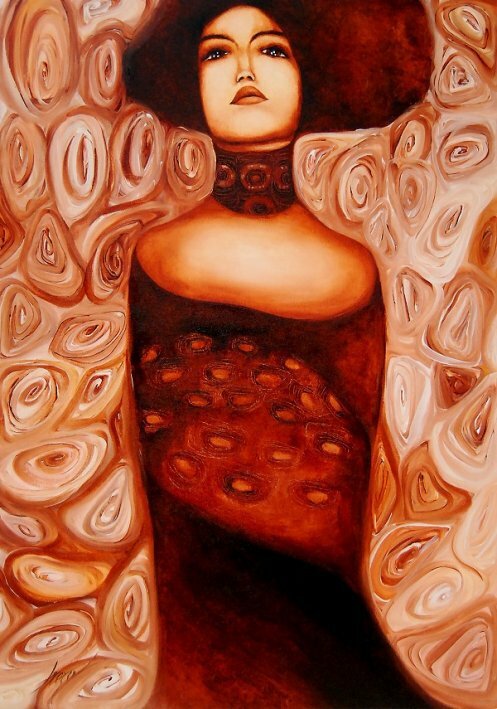 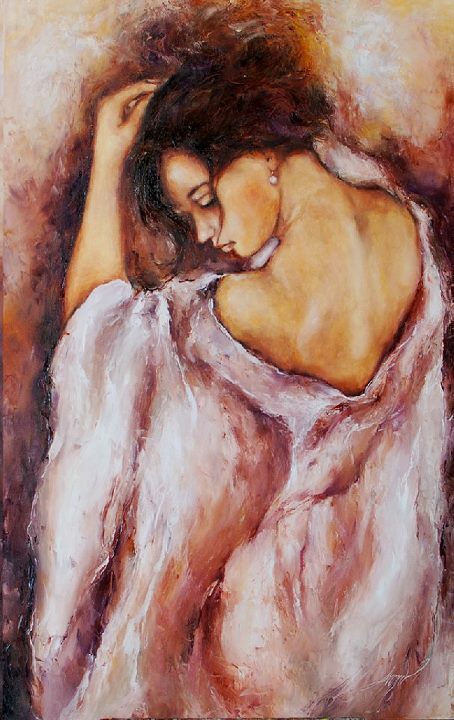 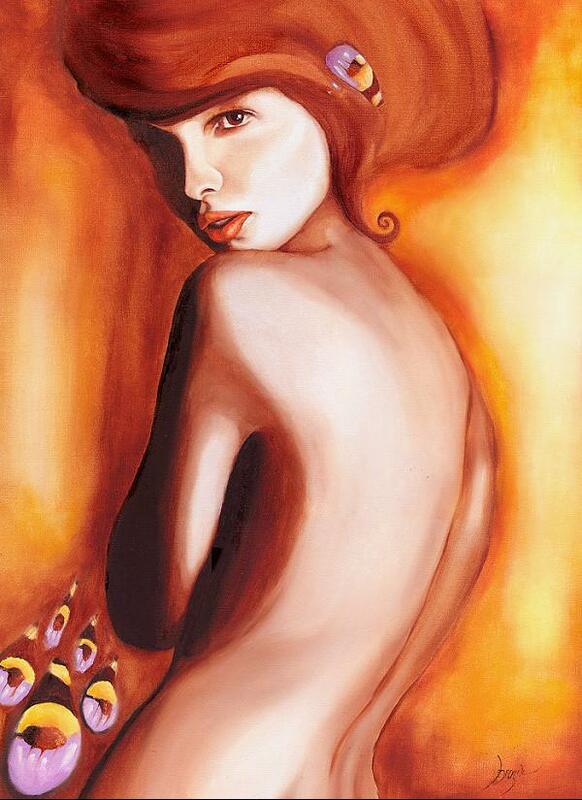 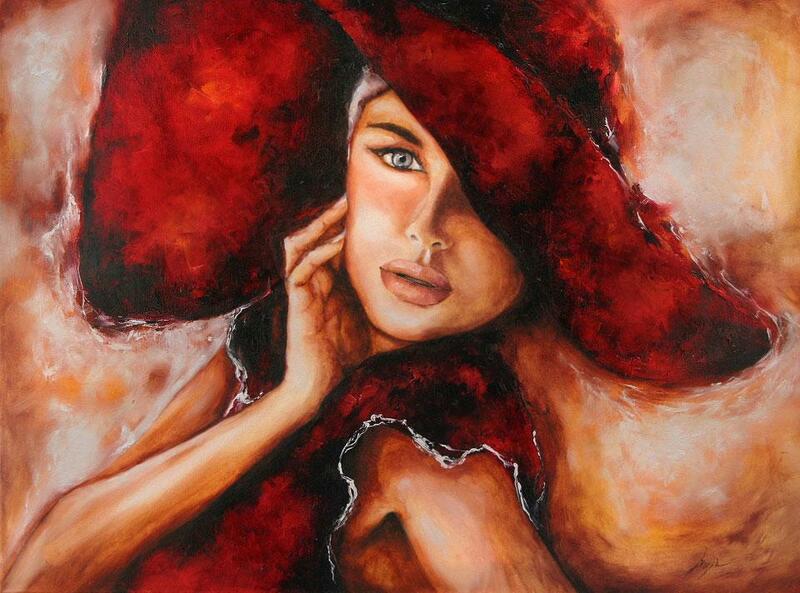 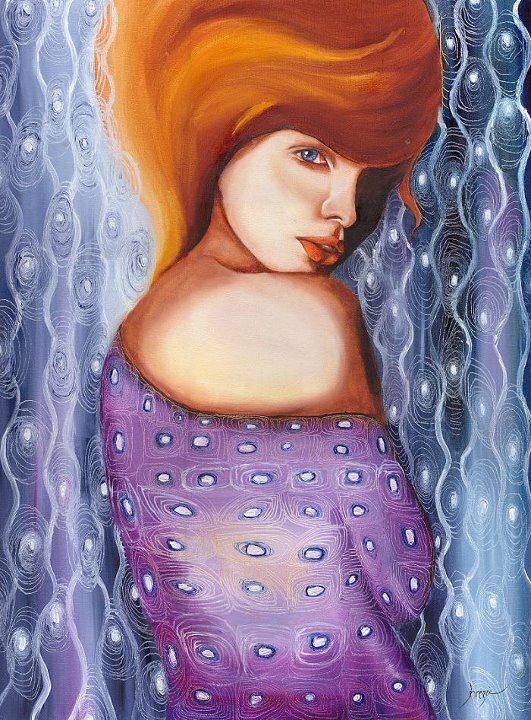 Elzbieta Brozek is a Polish painter who works mainly a portrait of women, prefering to work in their paintings with red and orange tones using realism in some cases and in others you can see the influence of the symbolism of the austrian artist Gustav Klimt. 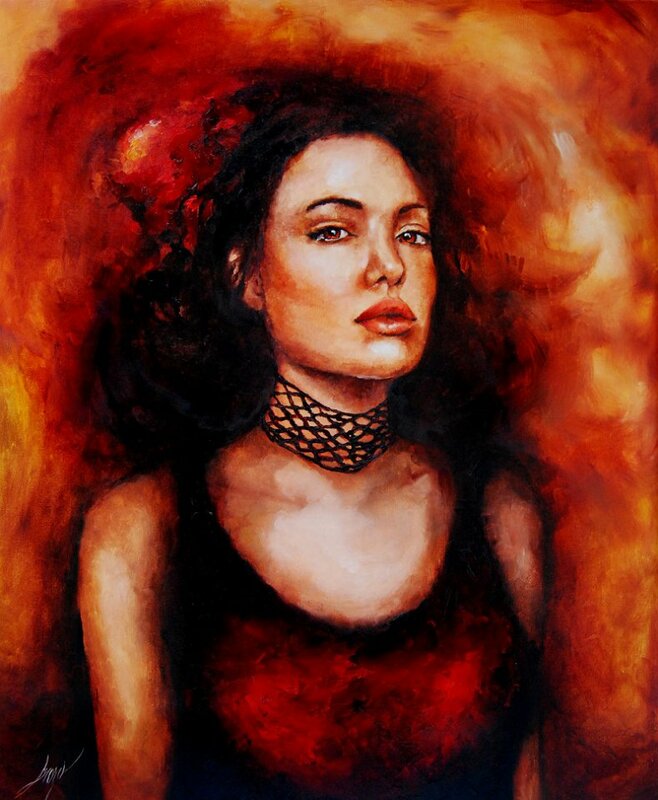 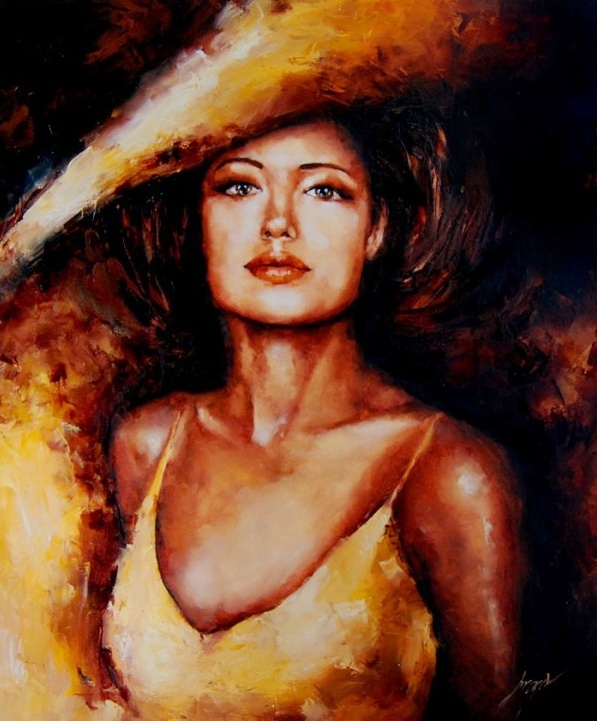 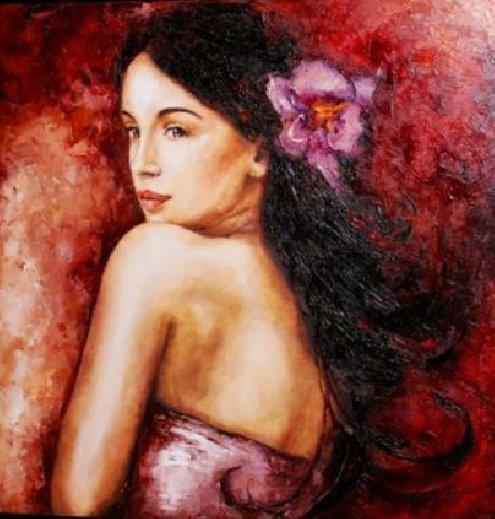 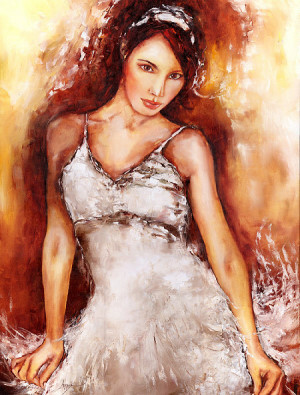 Shee has portrayed many characters known, as this of Angelina Jolie. 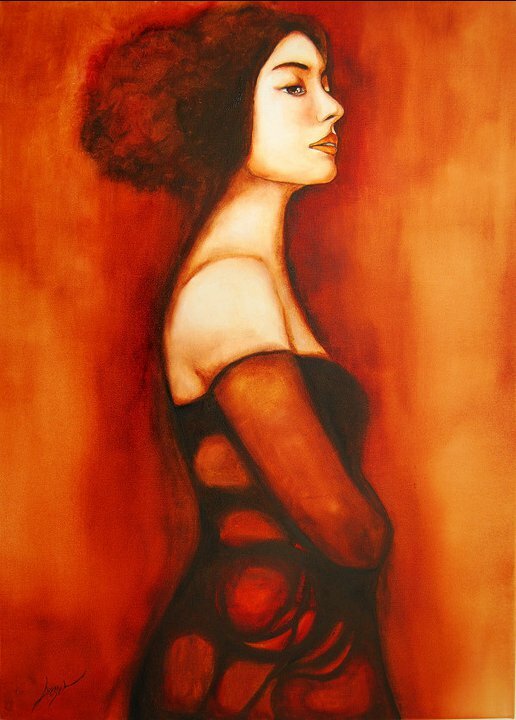 Elżbieta Brożek finished National Liceum of Fine Arts in Dabrowa Gornicza. 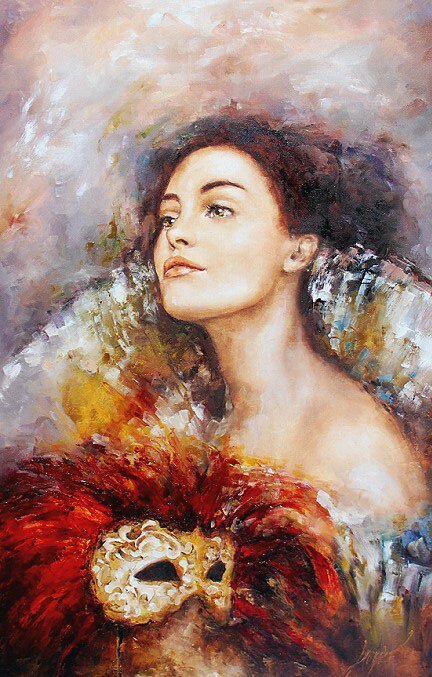 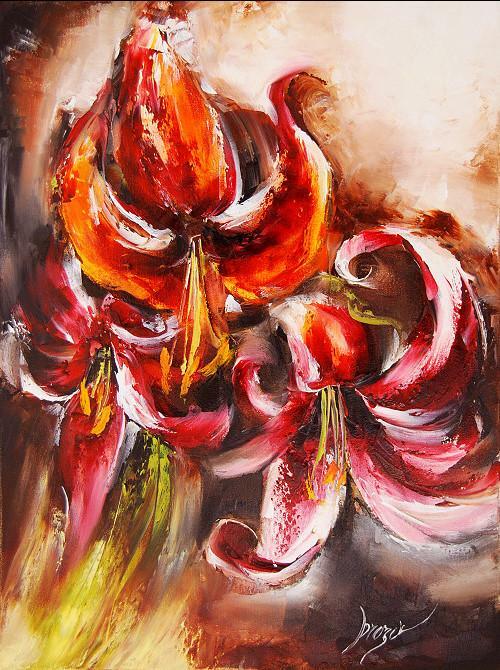 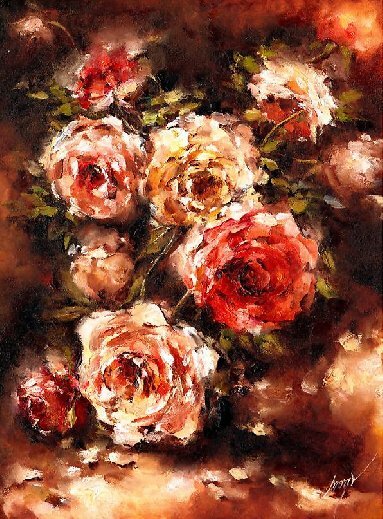 She began to study painting at the University of Maria Curie-Sklodowska in Lublin. 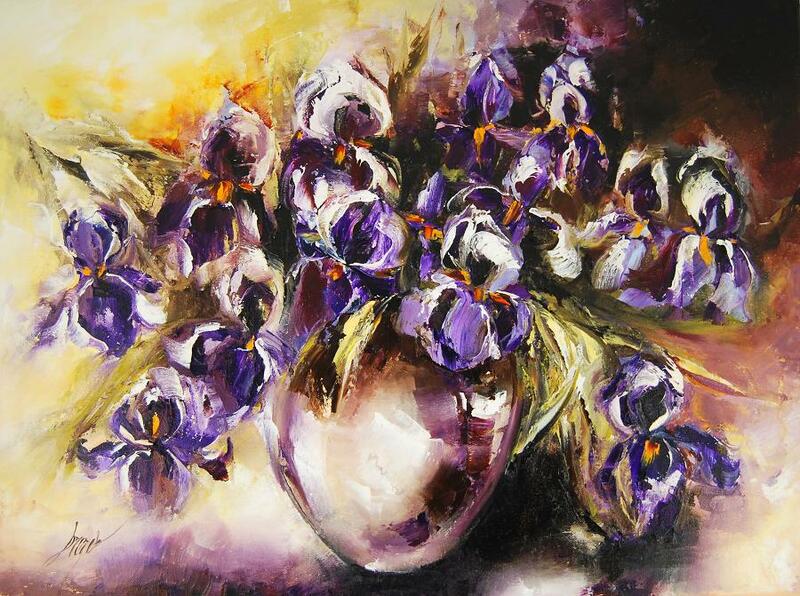 She continued her studies at the Academy of Arts in Wroclaw obtaining a diploma. 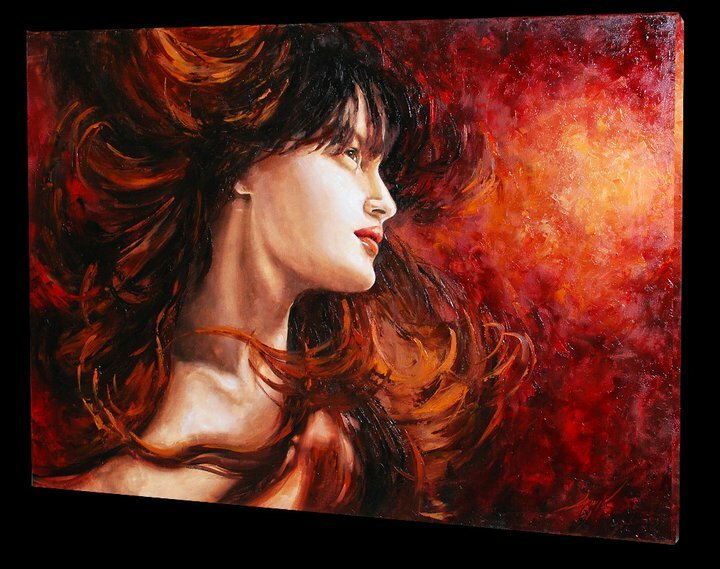 Her artistic works include: paintings, graphics (lithography), stained-glass windows and artistic glass. 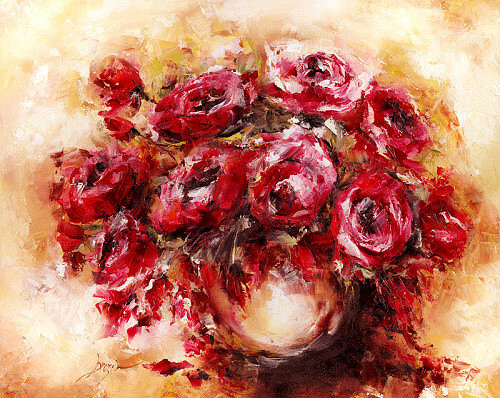 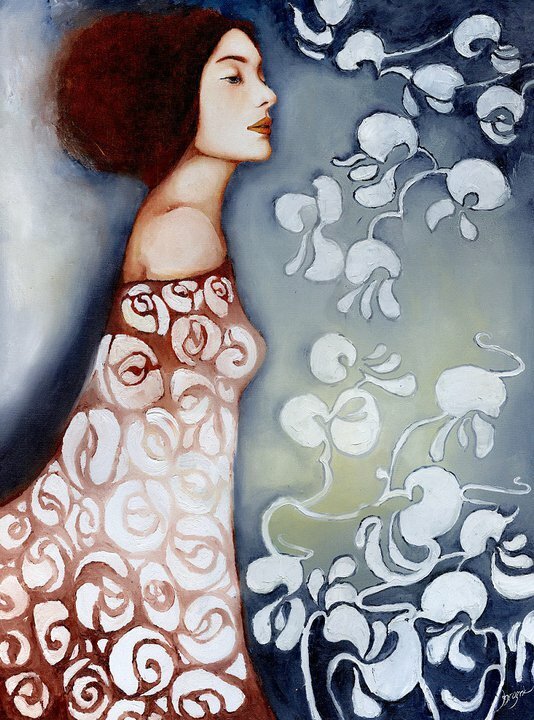 E. Brożek is inspired by metaphorical portrait but she also uses other motifs like landscape painting and still life. 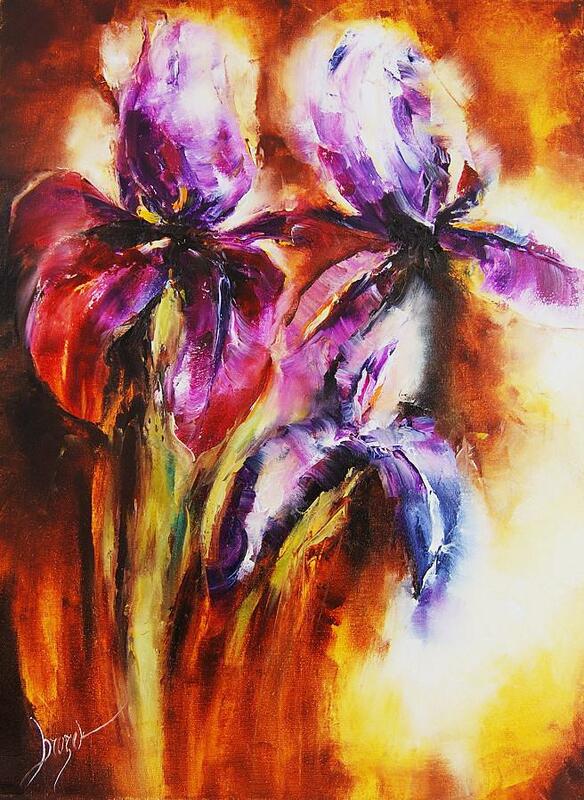 E. Brożek finds her inspiration in nature and surrounding reality. 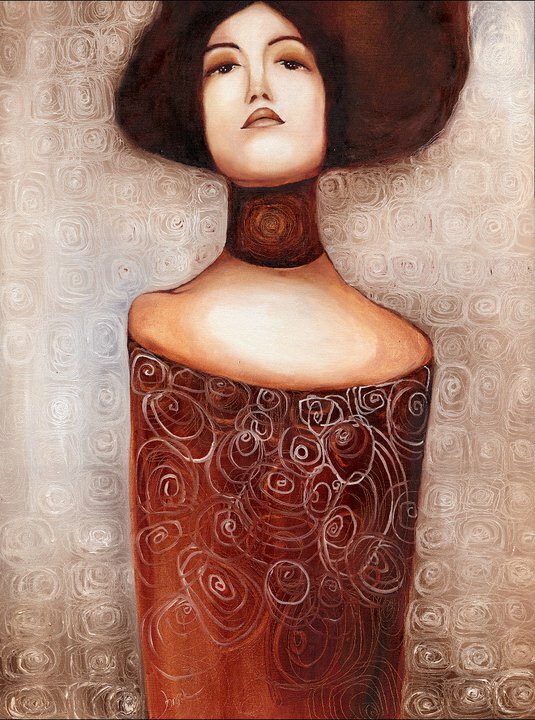 During 12 years of work she has developed her own unique and original style. 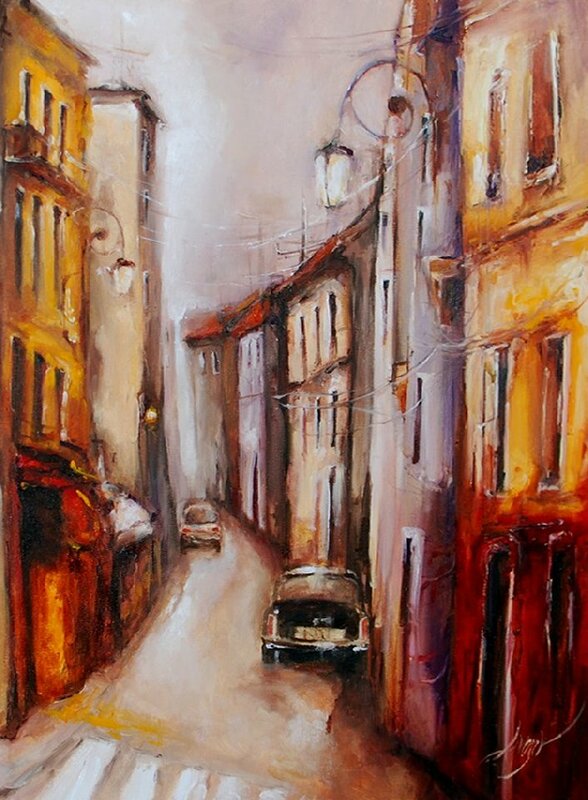 E. Brożek's works have unique and charming atmosphere. 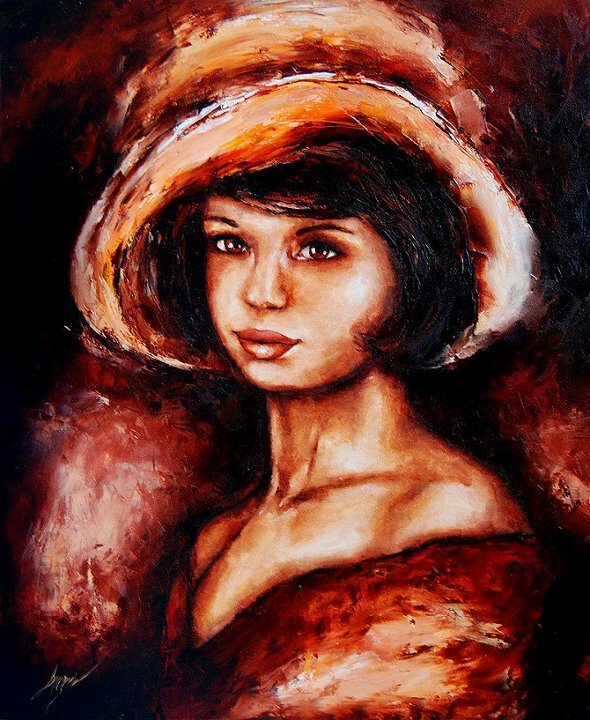 Alluring ornamental forms and subtle tones build up unforgettable whole and make it impossible to be indifferent toward her works. 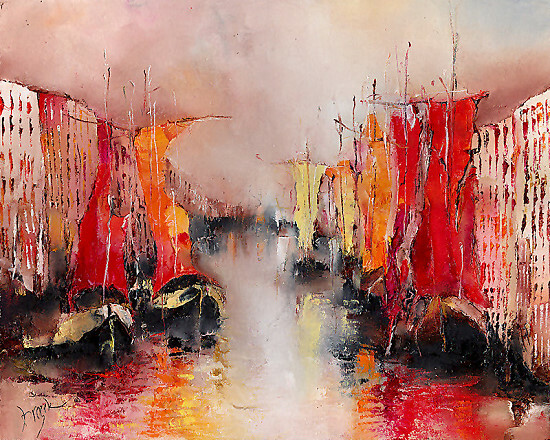 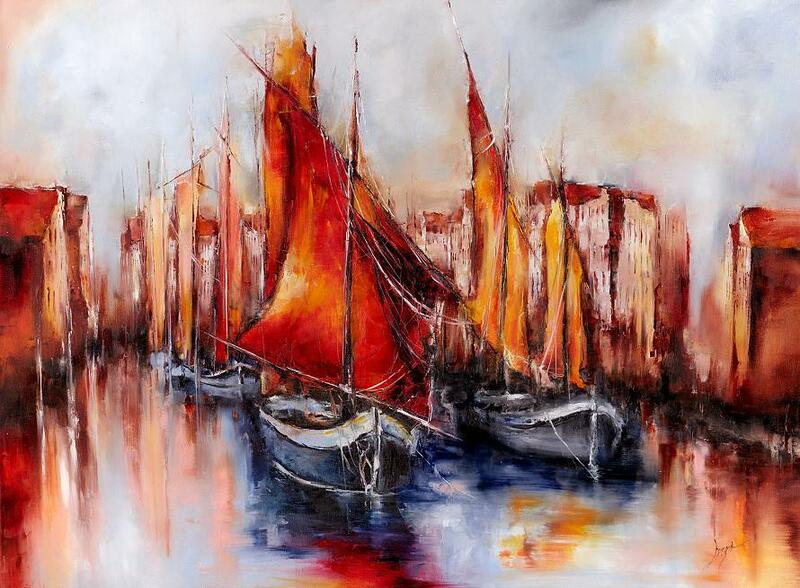 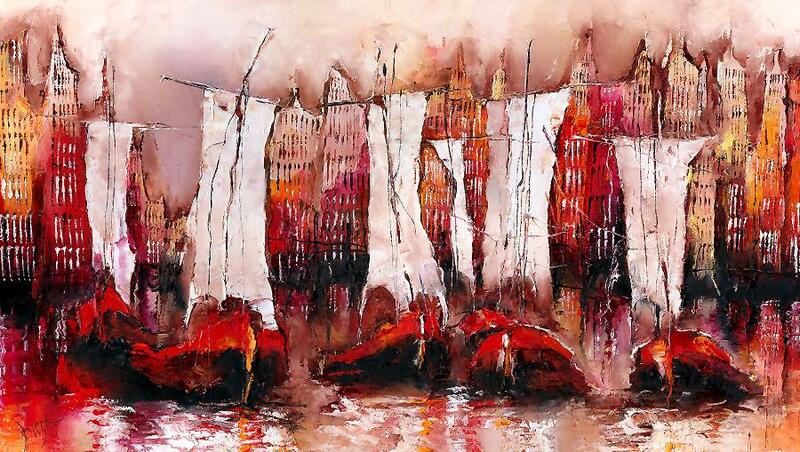 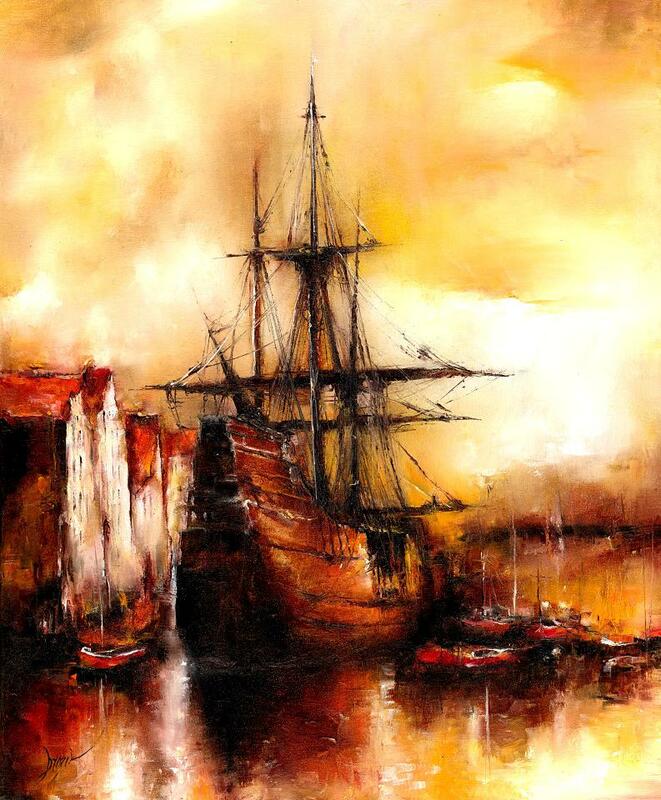 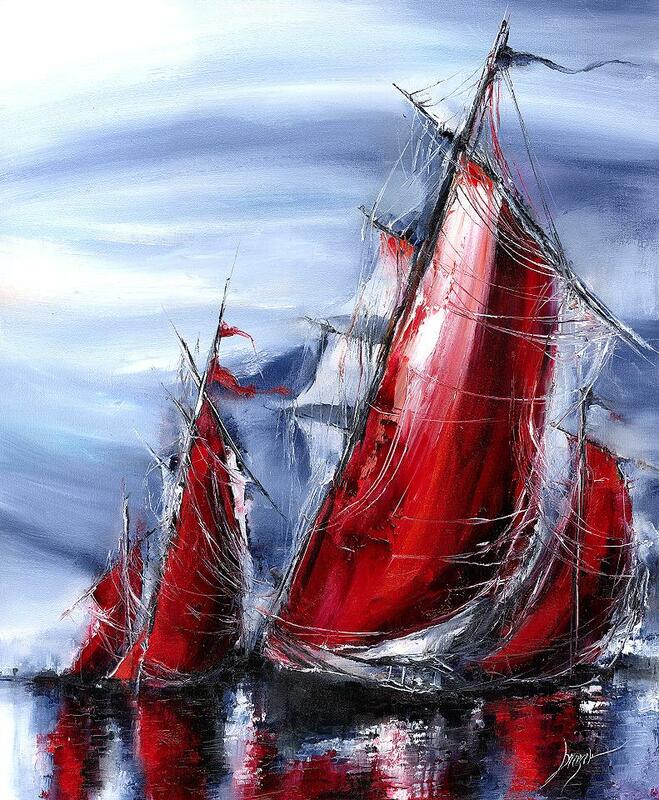 Brozek's paintings have recipients in more that 20 countries.